To book onto one of the above sessions please click this link. Opening brief from 7th Infantry brigade, Lt Col Keith Spiers and RAF Wittering, Wing Commander Mike Ainsworth. Military life and the unique challenges that it brings. 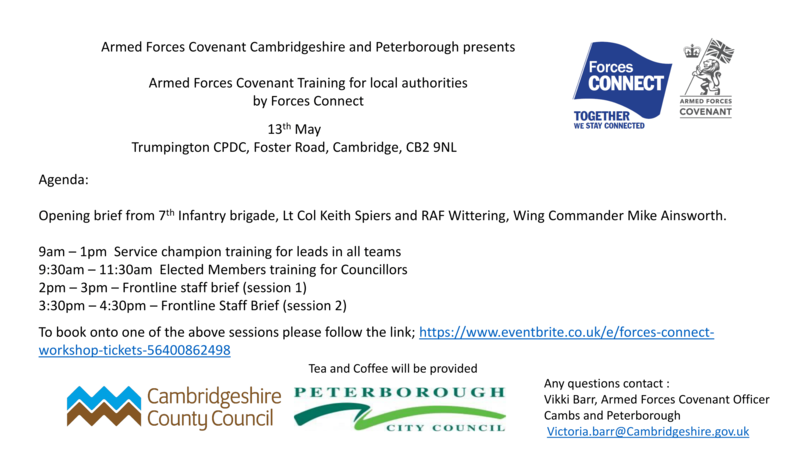 Provide you with the knowledge to deal with covenant enquiries and accurately signpost members of the armed forces community. 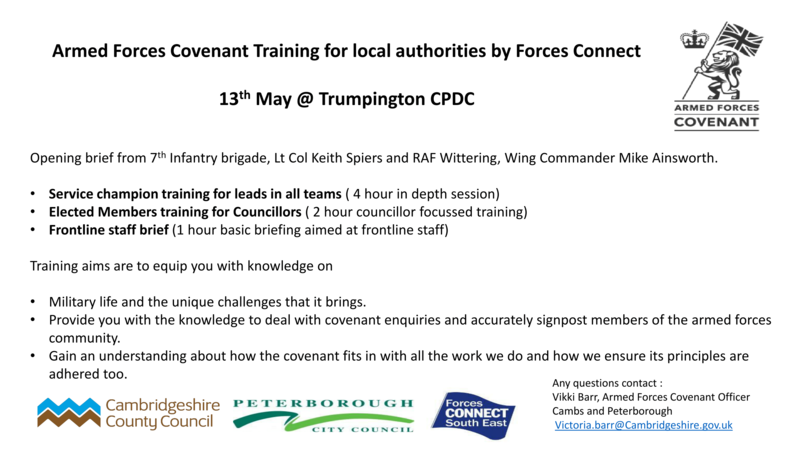 Gain an understanding about how the covenant fits in with all the work we do and how we ensure its principles are adhered too.